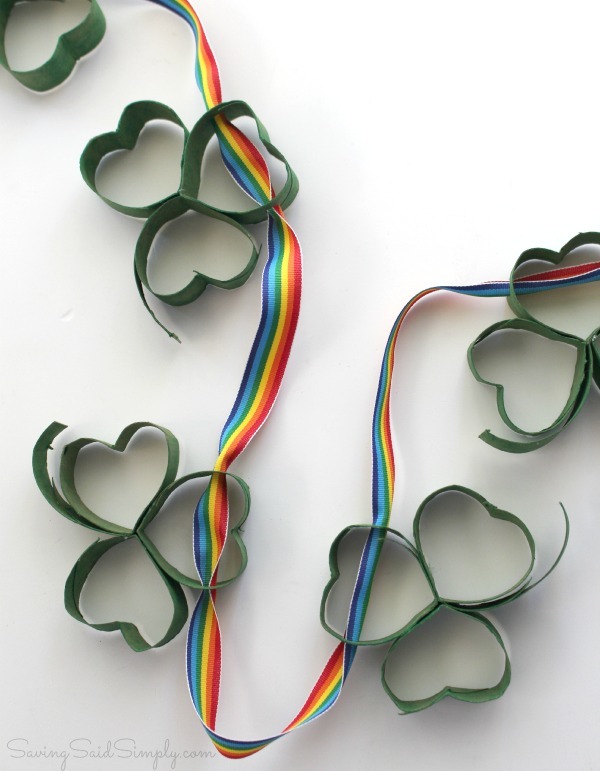 Make a fun Shamrock Garland with this Easy St. Patrick’s Day Kids Craft. May contain commissioned links. 1. 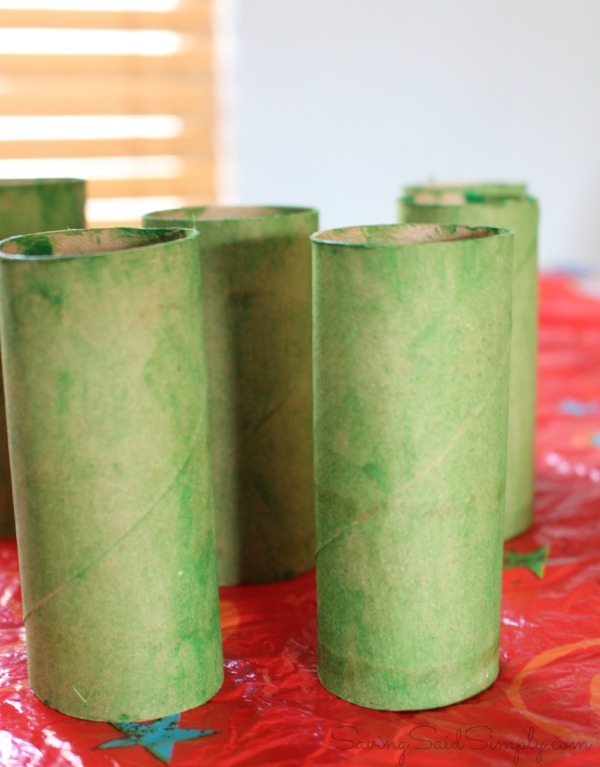 Paint the outside of the Toilet Paper Rolls with green paint. Allow to dry. 2. 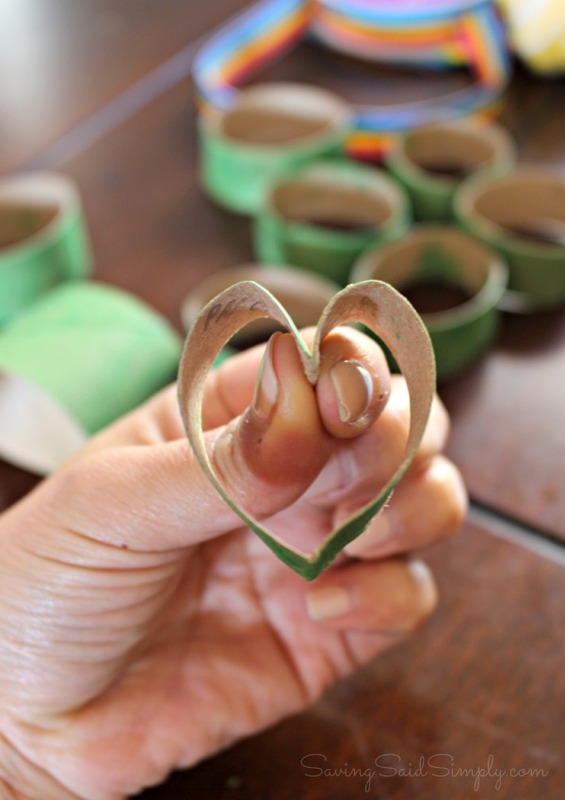 When dry, cut tubes into 3/4 to 1 inch thick circles. Should make about 5 circles per roll. 3. Now paint the inside of the rolls green. Allow to dry. 4. Set aside 4 circles. We will use them later. 5. Ok, let’s work on those shamrocks with the rest of the circles. Using your fingers, pinch the middle top of the circle in towards the center. Then pinch the middle bottom of the circle out to get a heart shape. Crease the rolls to retain the shape. 6. Gather 3 hearts together, points down to form your three-leaf clovers. Glue together. Should make about 7-8 shamrocks. 7. Remember those circles you set aside? Go ahead and cut them in half to give you 8 semi-circles. Glue the stems to the bottoms of the shamrocks. 9. 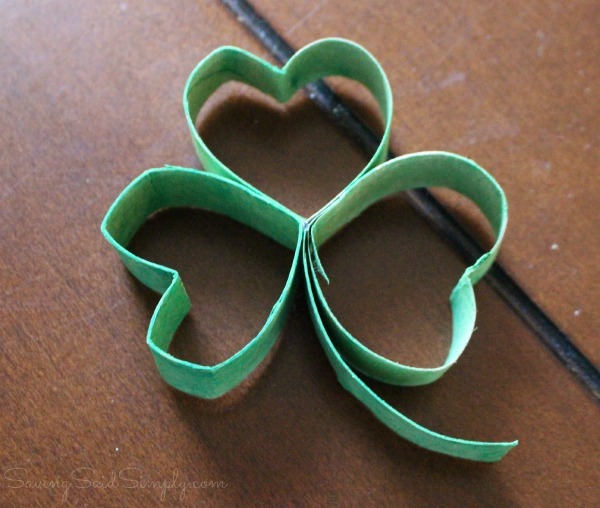 Using your hole punch, punch one hole on either side of the top of the shamrock. 10. Thread your ribbon through. 11. 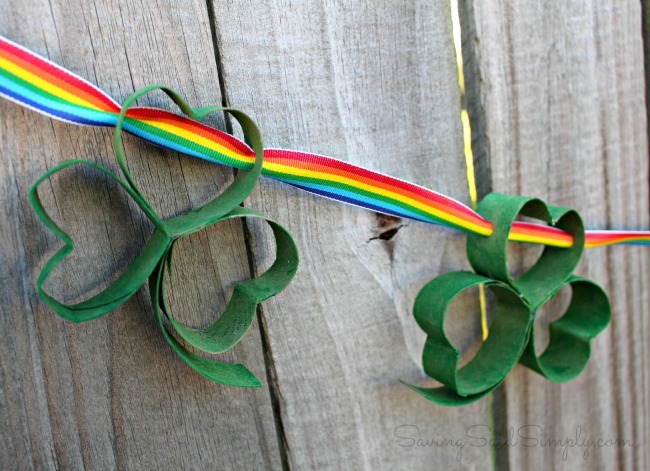 Hang your shamrock garland for all to see! 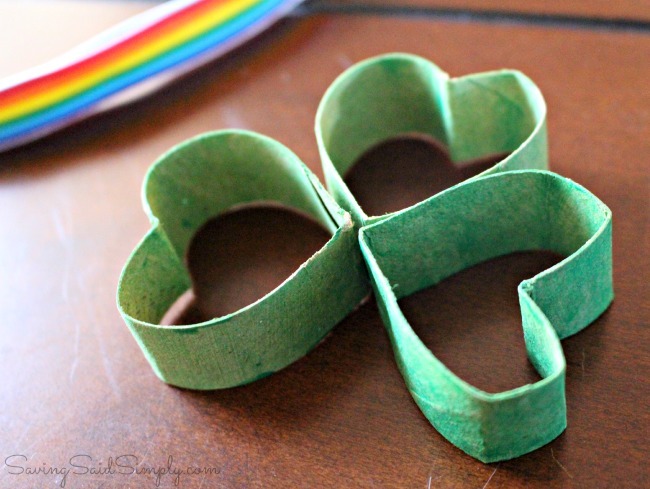 Need another easy St. Patrick’s Day craft idea? 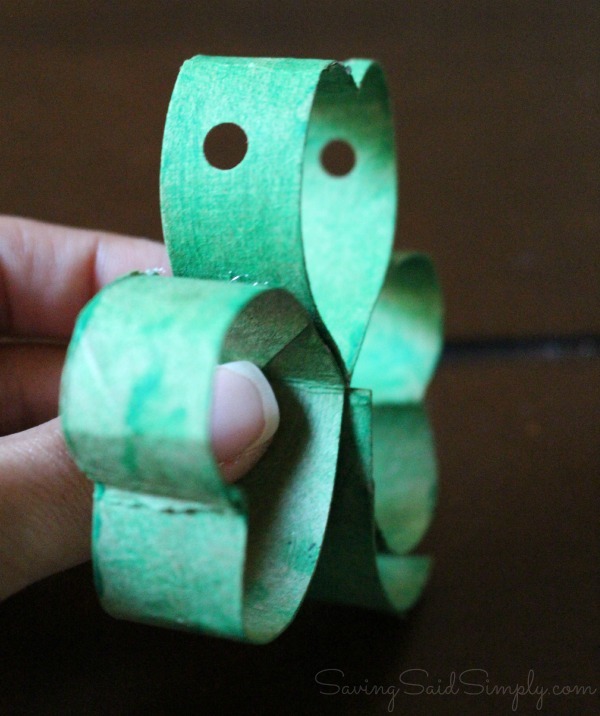 Grab my Leprechaun Popcorn Hat Kids Craft for a yummy way to enjoy the holiday! 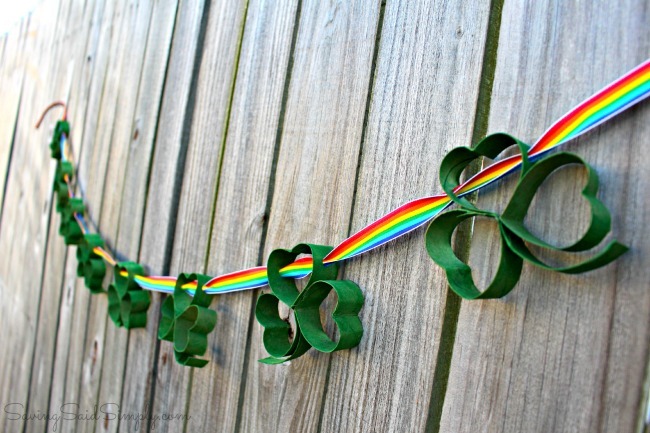 How are you celebrating St. Patrick’s Day with the kids? Be sure to follow Raising Whasians via Facebook, Twitter, Google, Instagram, Pinterest and YouTube for easy kids crafts, family recipe ideas and hilarious parenting stories! 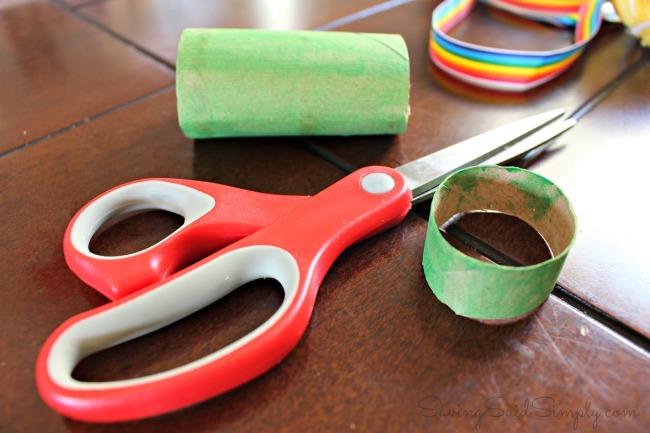 This is a wonderful idea and super fun to make with the kids. 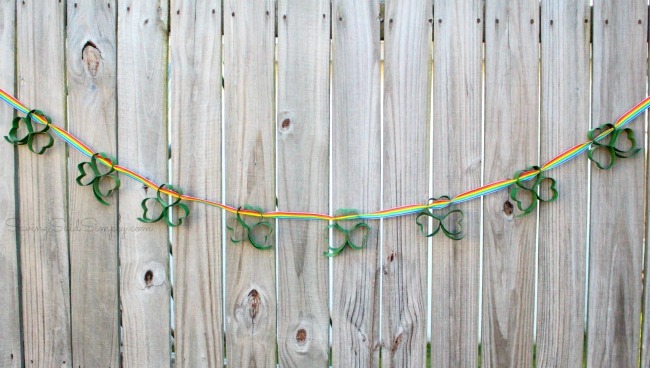 This garland is gorgeous! I love that you can bring it out every year too!